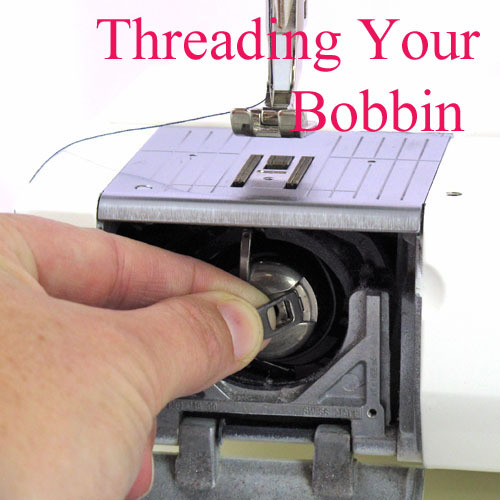 The bobbin is that small little spool that forms the bottom thread in the stitch. I only have front loading machines with a bobbin case so that is the method I’ll describe here. 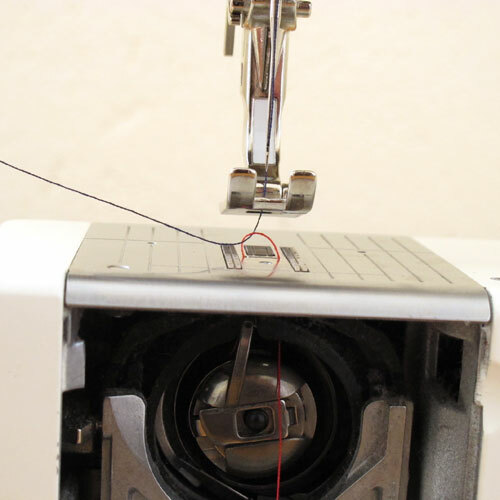 Some machines have a drop-in or horizontal bobbin. The best tutorial I’ve found for loading those is here. For those more into moving pictures here’s a good link. 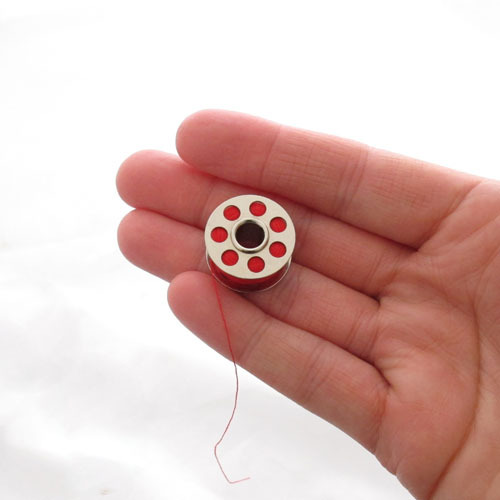 Step 1: Pull out a 10cm tail of thread from the bobbin. 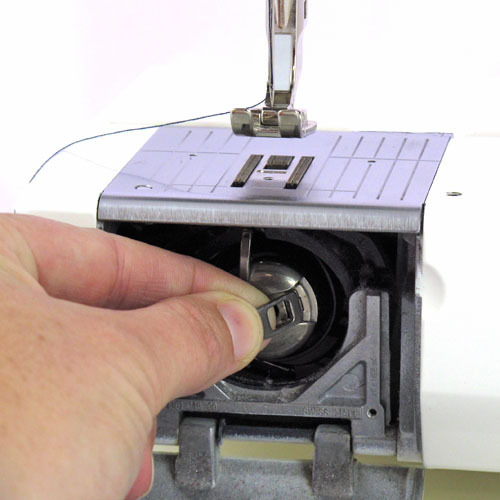 Step 2: Remove the bobbin case from your machine by lifting the little lever near the central pin. 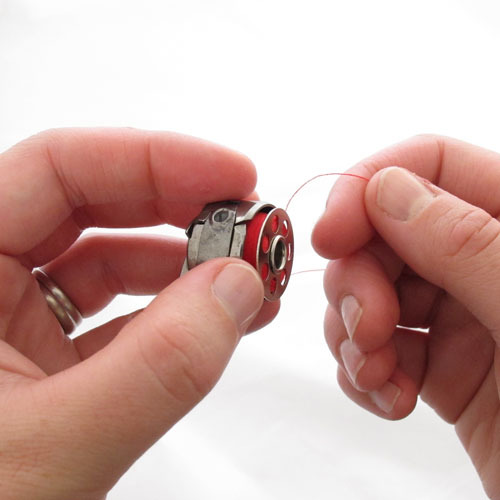 Step 3: Hold the bobbin case in your left hand and filled bobbin in your right hand with the tail pulling away from you. Bring the two together. Step 4: Manoeuvre the tail through the small slit and then under and through the tensioning clasp. 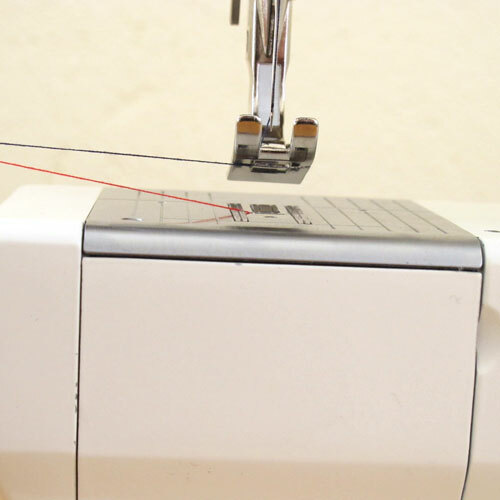 You thread through the upright arm when stitching a satin stitch (eg. around a button hole). 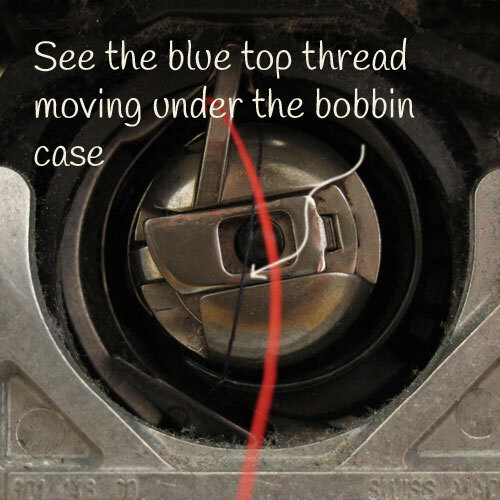 Step 5: Align and push your bobbin case back into its compartment until you hear a firm ‘click’. 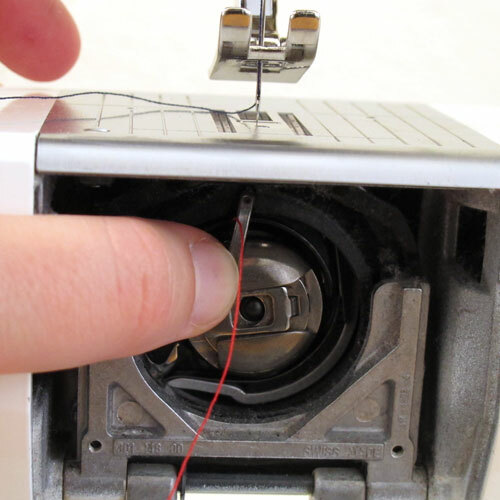 Step 6: Go fishing – Hold the top spool thread with your left hand, turn your balance wheel towards you so that the needle does a full revolution (goes down into the machine and back up again). The top thread will pick up the bottom thread on its way through. Step 7: Gently tug on the top thread so the loop of the bottom thread pulls out from between the feed dogs. 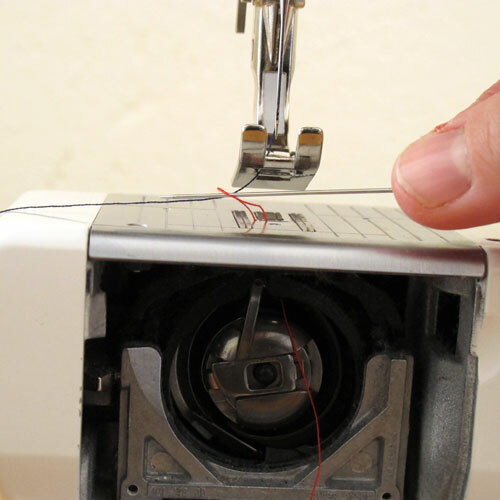 Step 8: Use a pin or similar to swish the end of the bottom thread out. Step 9: Close your bobbin compartment cover. You’re all done and your machine is now threaded and ready for sewing. While I love to sew, I was fed up with dragging my kids around a fabric store and still not being sure I had everything I needed. So I decided to do something about it and created a series of gorgeous, mail-able project kits with everything you'll need to teach yourself to sew. I take the fuss out of learning to sew. I'm based on a farm in country Western Australia and can shop online like a pro (you know, if there was such a professional ;) ) Look forward to chatting to you soon.